Those of us who follow news and current events in our beloved country, observed that Dr. Anne Itto, the Deputy Secretary General of the SPLM, recently met twice in less than a month with His Excellency the President of the Republic as well as the Chairperson of the SPLM. These meetings indicate that the SPLM leadership is attempting to inject new blood into the process of putting its house in order as well as preparation for general elections looming in 2015. The SPLM is the political wing of the Sudan People’s Liberation Army (SPLA). Its destiny is vital, not only for its supporters, but also for the entire South Sudanese people. SPLM leadership must be proactive and engage in dialogue within the party which has evolved since the comprehensive peace agreement of January 9, 2005. 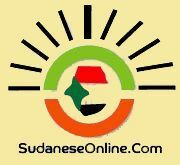 In that year the SPLA transformed itself into a political party in the former united Sudan. Registration as a political party is required by law within two years of declaring independence for legal recognition. Transformation from a guerilla movement into a political entity is not an easy process. Challenges and difficulties arise and must be met. Among these are factions that must be engaged in dialogue. SPLM leadership must engage with these elements to set the agenda for reformation and transformation to overcome current congestion being experienced by the party. The party needs to put its house in order internally through grassroots primary elections and other democratic reform mechanisms. The SPLM needs to reach out into all the states and counties of the Republic of South Sudan so that every state and county is prepared for the general election of 2015. A political action plan must be developed in coordination with the national and state ministries. This will require liaison and conversation with South Sudanese political leaders like Dr. Martin E. Lomuro, Gabriel C. Leuo, and Uncle George Kongor Arop etc. The SPLM has not mobilized. The party needs to carry out public political rallies in all of the states and counties. The SPLM must commit itself to the political ideals and legacy of its iconic hero, the late Dr. John Garang de Mabiour, the founder and the father of SPLM. I strongly believe that party division will adversely affect our new nationcausing political predicaments and anarchy. We expect problems in the nation building process but must avoid what can be divisive. The initiative taken by Dr. Anne Itto, the Deputy Secretary General, SPLM, and her team in meeting with the President of the Republic and the Chairman deserves credit for a job well done in facing burning issues. What do SPLM supporters expect from the party leadership? They want a lot, especially interaction to socialize and converse on the issues at hand. I have concurred absolutely with Dr. Anne Itto and her team in the need to dialogue with outgoing Ministers. It is my expectation that the current cabinet will be carrying out the election in 2015 unless there is some improper performance of duty. A paramount need is dialogue with other African nations, especially bordering countries, and the international community partners to explain the insecurity status quo of Jonglei State. Of course, SPLM as guerrilla warfare movement transforming itself into political party, and it’s not an easy processes, it carries with it a lot of the challengers if not difficulties. Among these challengers are that, the SPLM is facing or will face ahead of time factions within the SPLM, which may need the SPLM leadership initiative to engage in dialogue with these factions on the agenda of project of the SPLM transformation/reformation. Plus how to remove the political congestion and the bottle neck that are being experienced by the SPLM party. Secondly, for the SPLM to have political breath it may need to put it house order to face internal democratic reform mechanism in place e.g. primary elections as recommended by SPLM the grass roots . Thirdly, the SPLM needs to reach out as well as to tour all our states and counties preaching political agenda for general elections which is looming in 2015. Fourthly, the SPLM have not draw a political action plan for the national and state Ministers so that it can be sold out to other South Sudanese political parties leaders like Dr.Martin E.Lomuro, Changson Leuo and Uncle George Kongor Arop to be converted as the nation political action plan program for the cabinets. Fifty, SPLM has not done enough in the area of mobilization, now it needs to carry out political public rallies in all our states and counties. Sixty, SPLM has to commit itself to political roadmap transformation to reflect the legacy our icon hero Dr. John Garang de Mabiour father of the SPLM party. Because of my strong believe that, if the SPLM is divided the South Sudanese people will be affected by the SPLM division too, and may be divided. And I’m afraid that, it may lead our beloved country into political predicament and anarchy, something we need to avoid at this era of our nation building process, because we are pregnant with problems. The imitative taken by Dr. Anne Itto , the Deputy Secretary General of the SPLM and her team these days to meet with the President of the Republic and the Chairperson of the SPLM to discuss some party burning issues , she and her team deserve credit for it and it’s well done job. What’s the SPLM supporters expecting from the SPLM leadership at this time?I think they are expecting a lot , plus they are expecting the SPLM leadership to socialize with the SPLM supporters in particularly and South Sudanese in general. Moreover, I agreed absolutely with Dr. Anne Itto and her team for the need to dialogue without going Ministers. Inclusion, I suspect that, the current cabinet , is the cabinet that, will carry out our general elections in 2015 , unless a Minister fails to performance his or her duty properly . Nevertheless, the needs of engagement dialogue with the African countries and specially our neighbors are paramount at this time. Plus we need go extra to reach our international community partners and allies to explain to them the status quo of Jonglei State. God bless South Sudan.